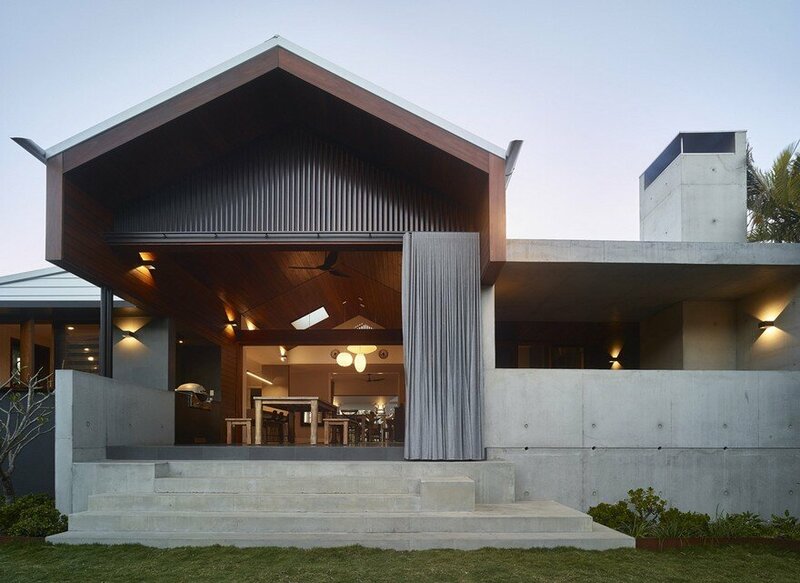 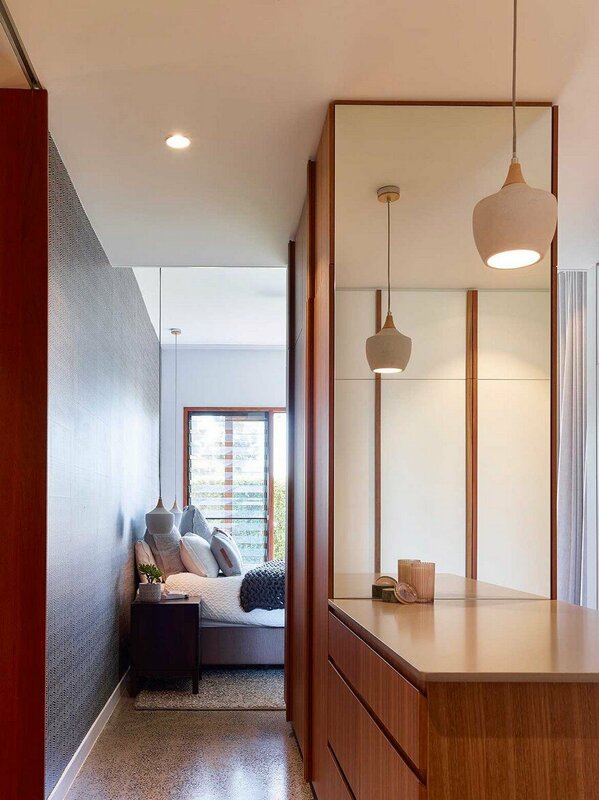 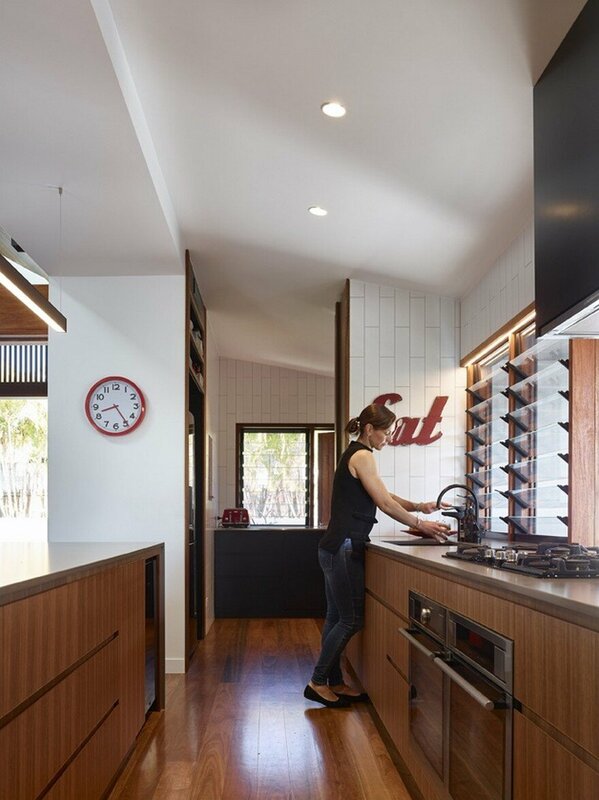 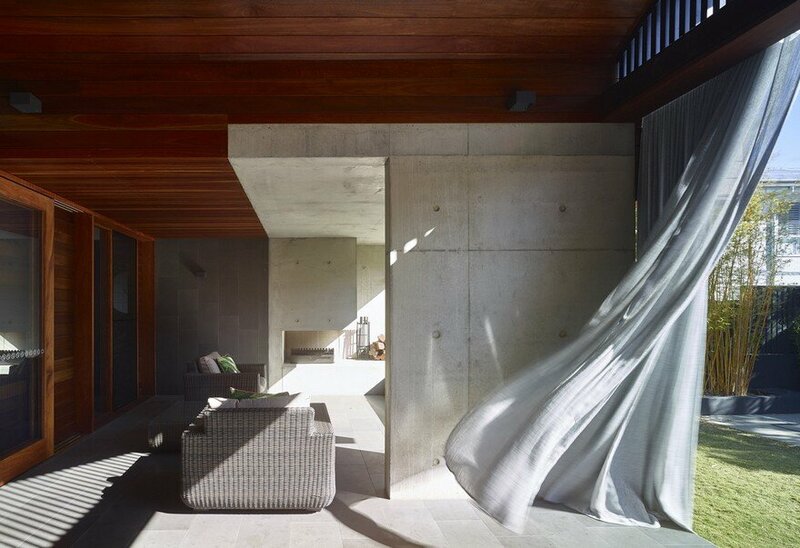 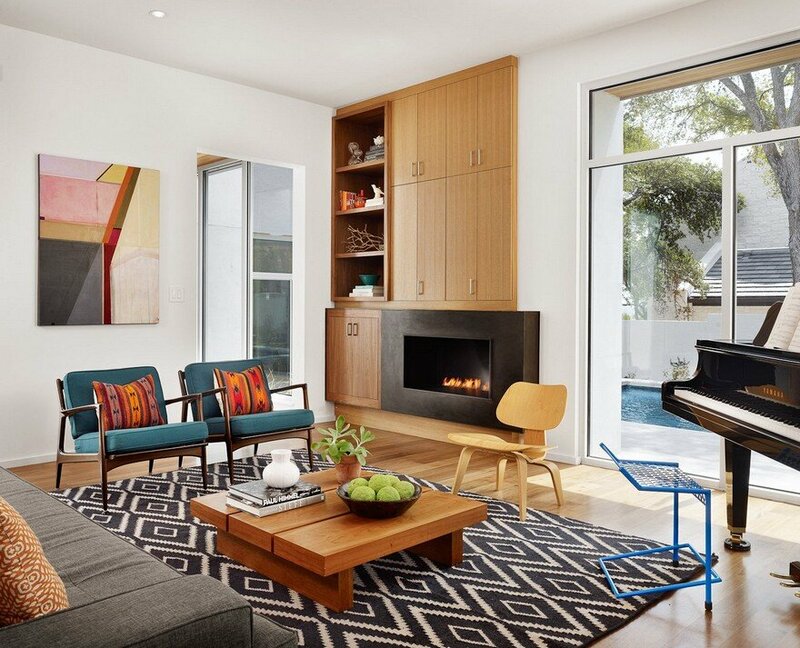 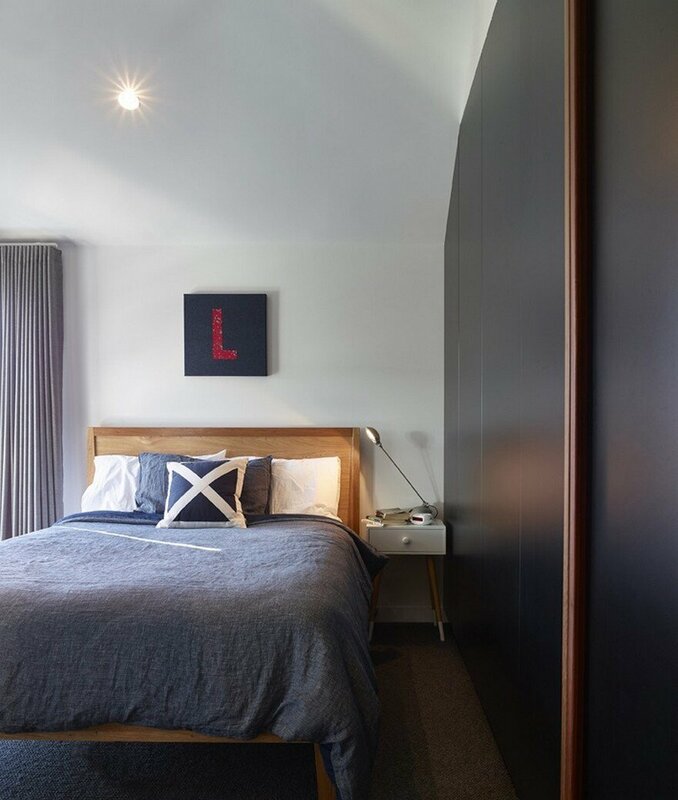 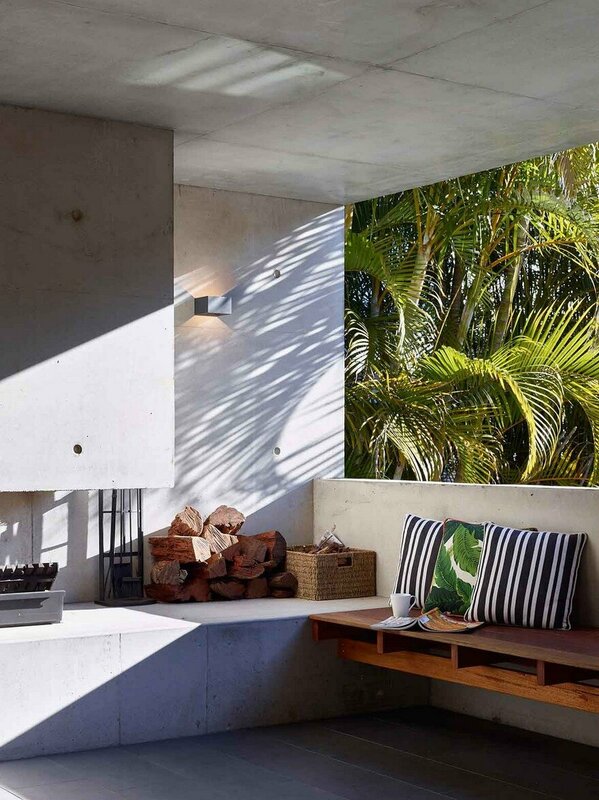 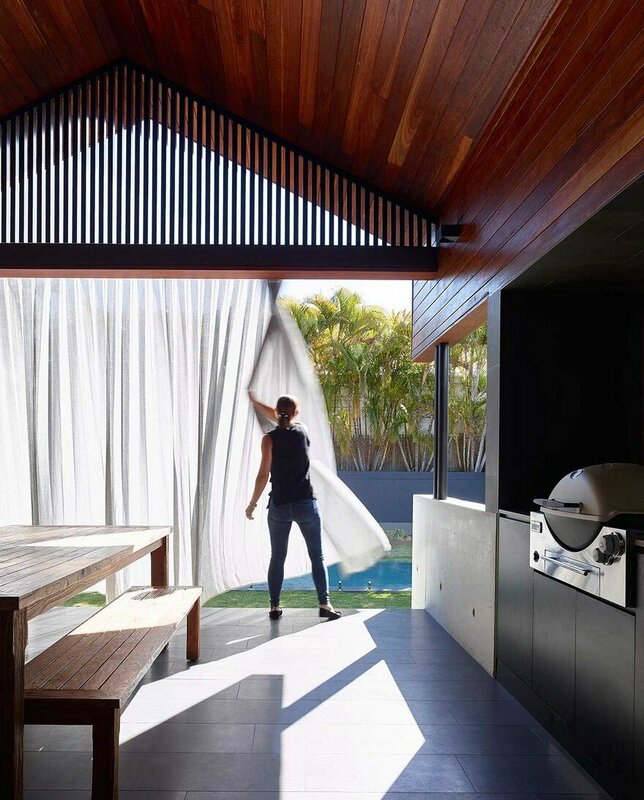 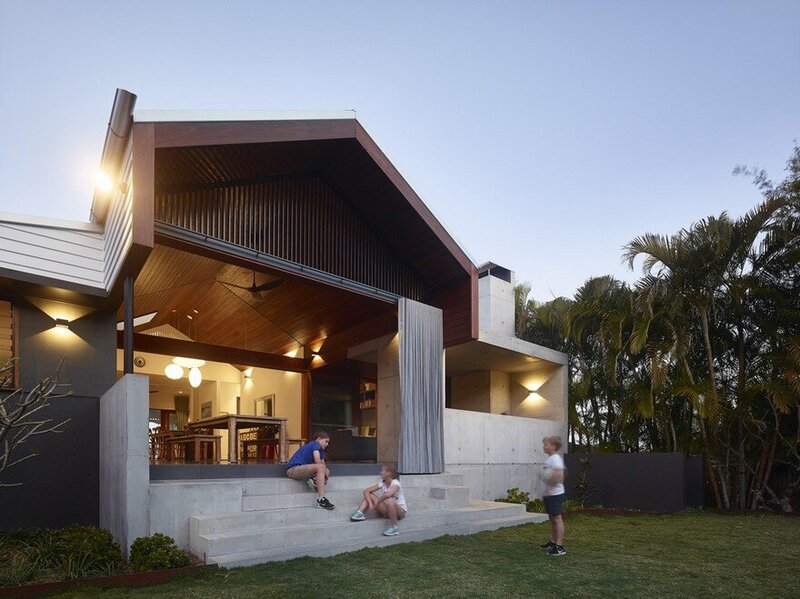 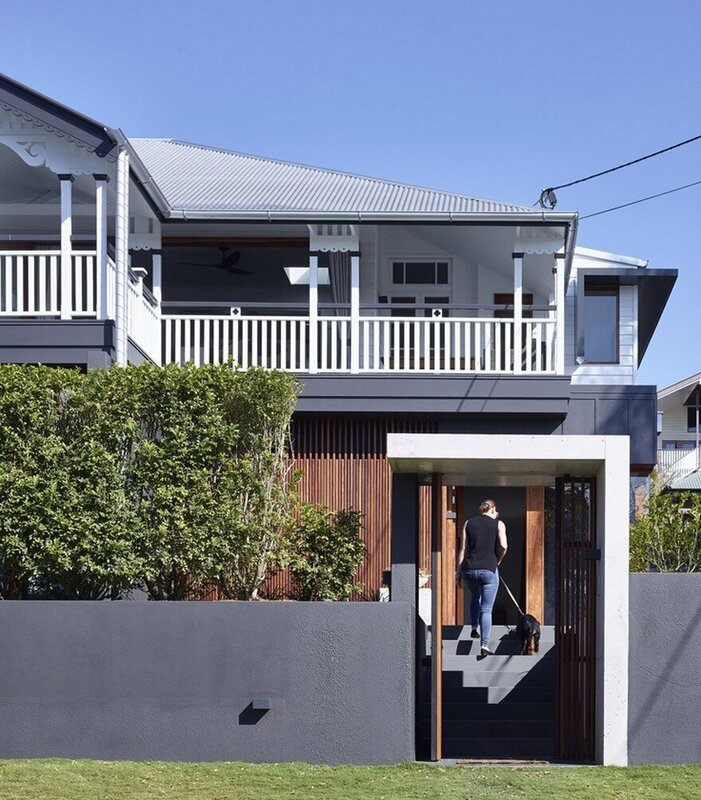 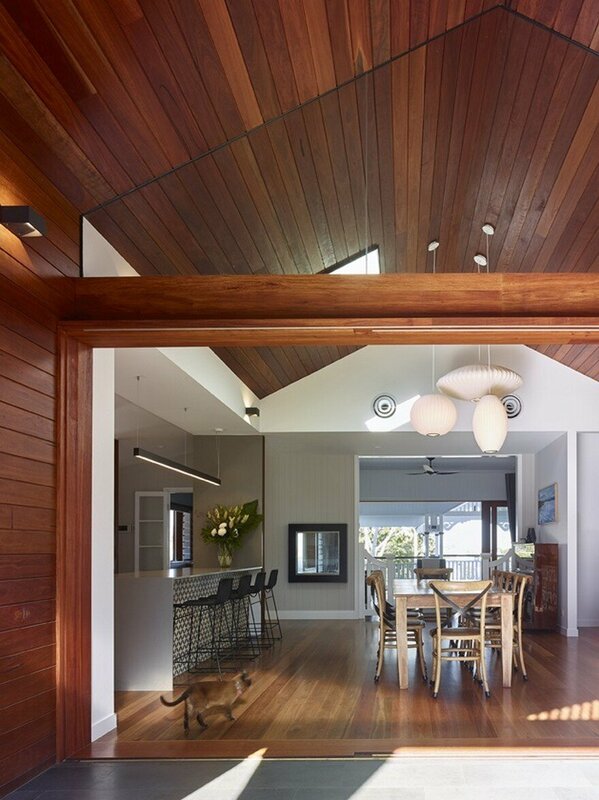 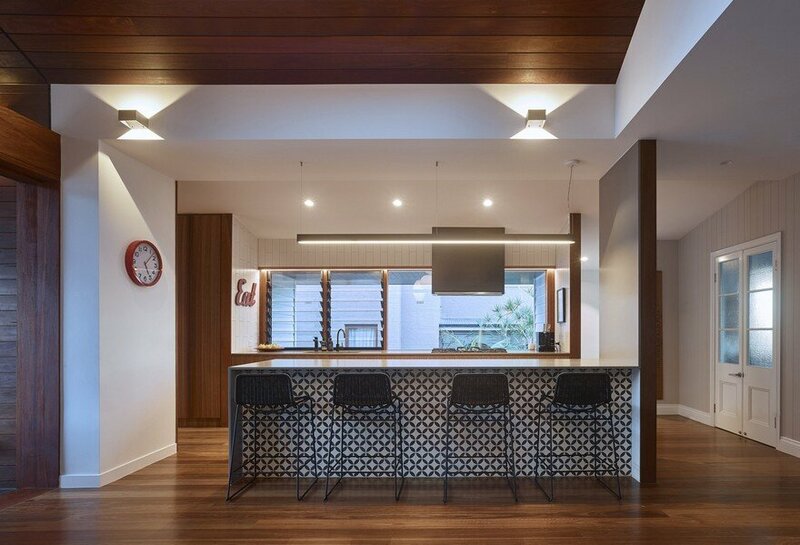 Dover house is a project that involves the fusion of a traditional Queenslander and a concrete garden room. 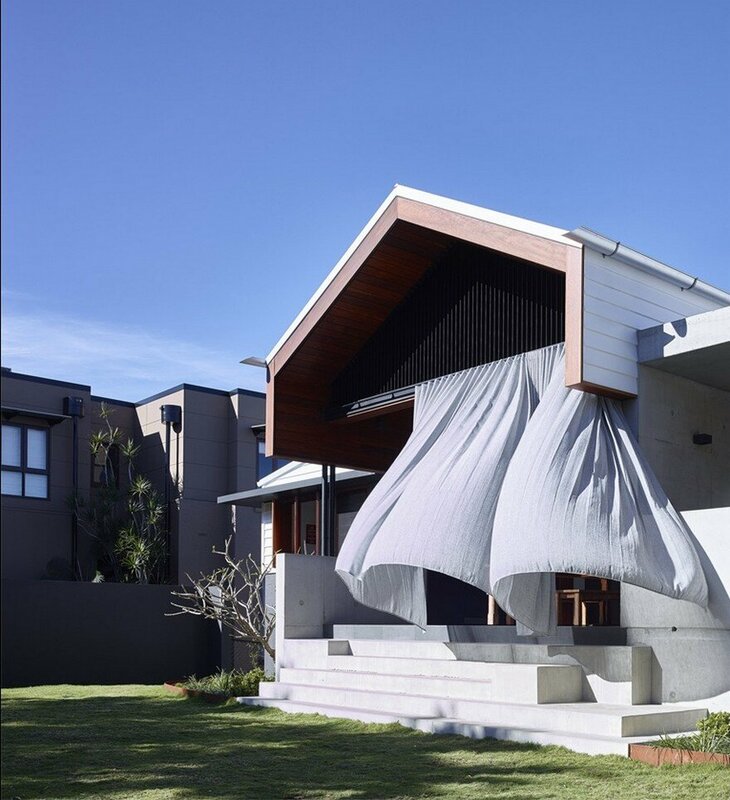 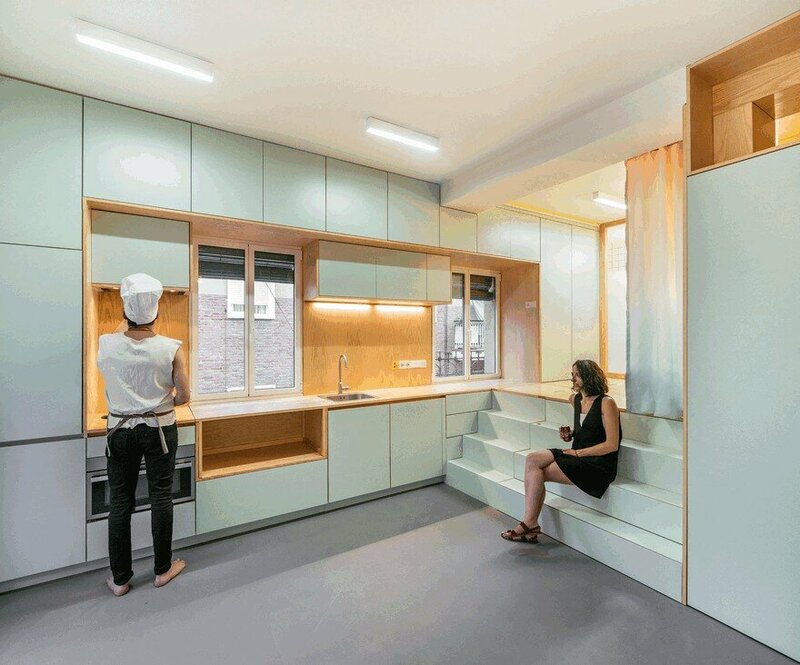 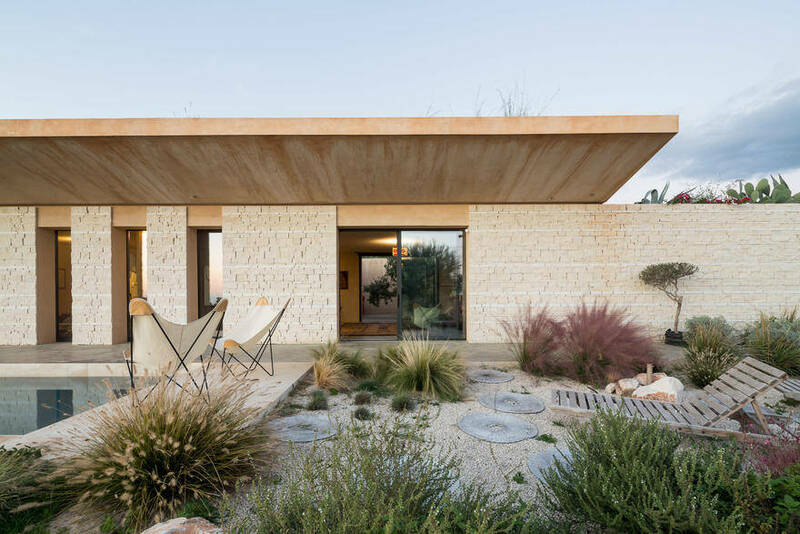 The idea incorporates an extruded section of the pitched roof that forms a portal to the back yard, the centre of gravity for family life. 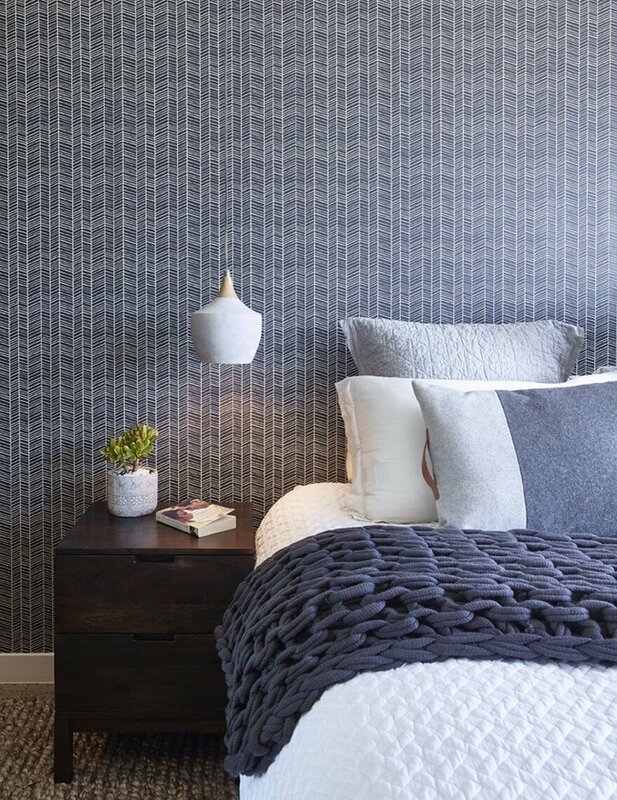 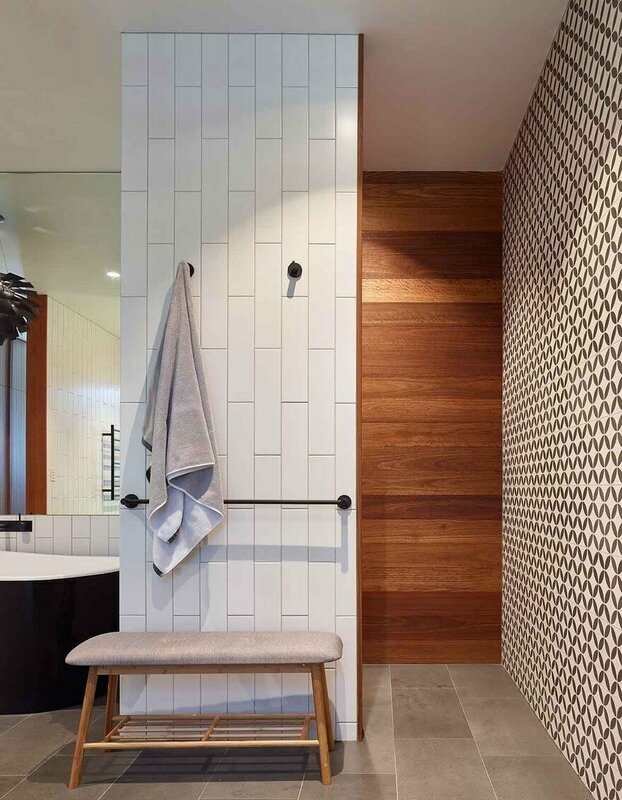 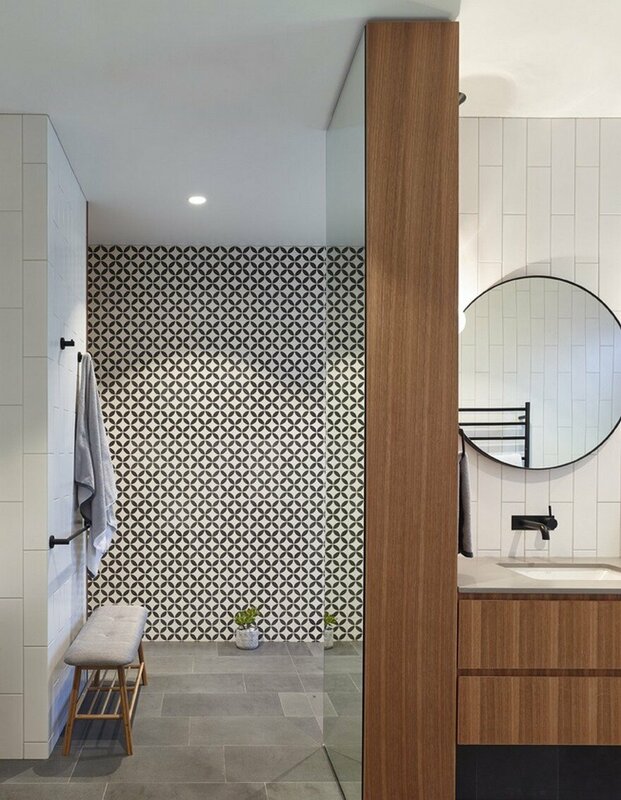 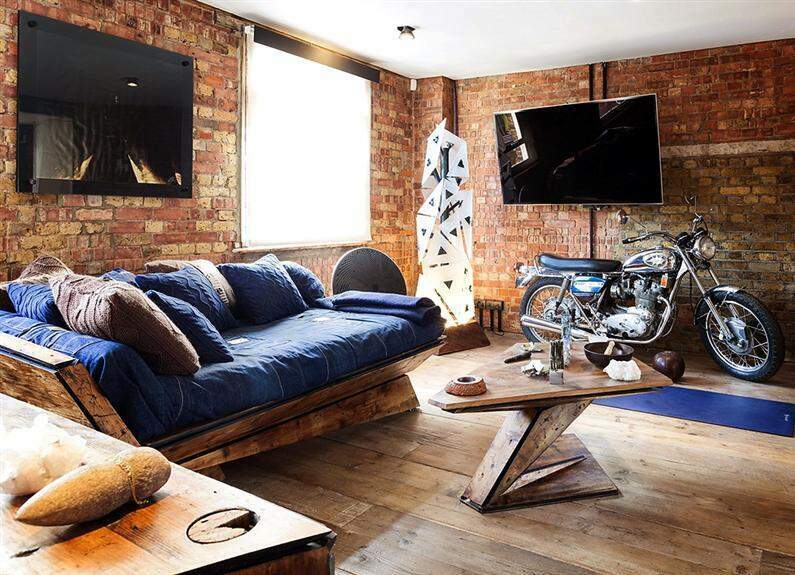 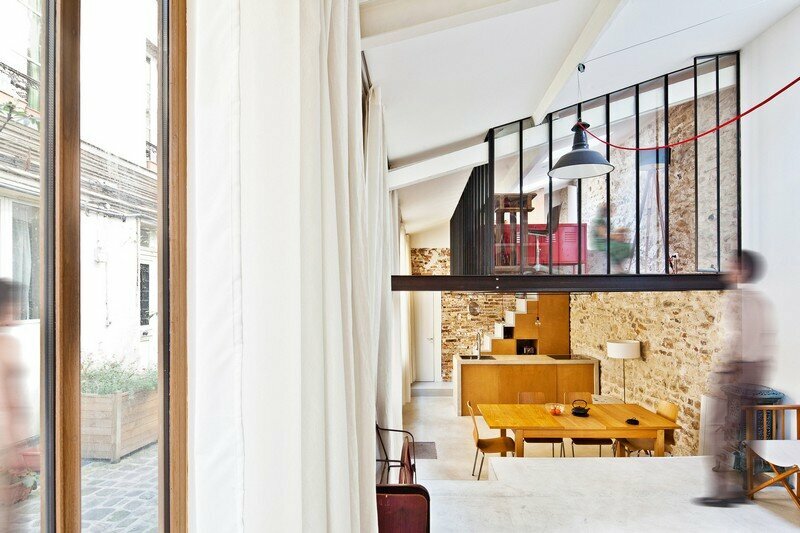 The project explores an eclectic mix of materials including concrete, timber, and encaustic tiles and wallpaper, which brings a unique personality to the revitalisation of this family’s home. 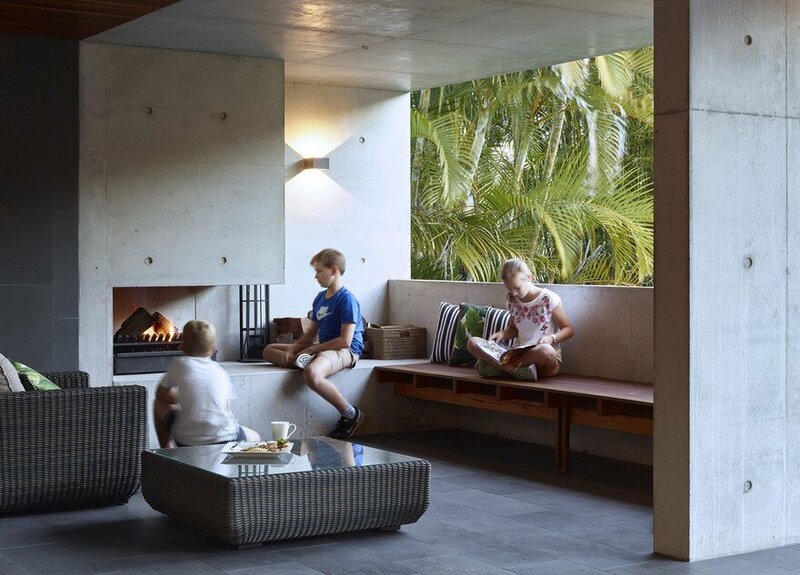 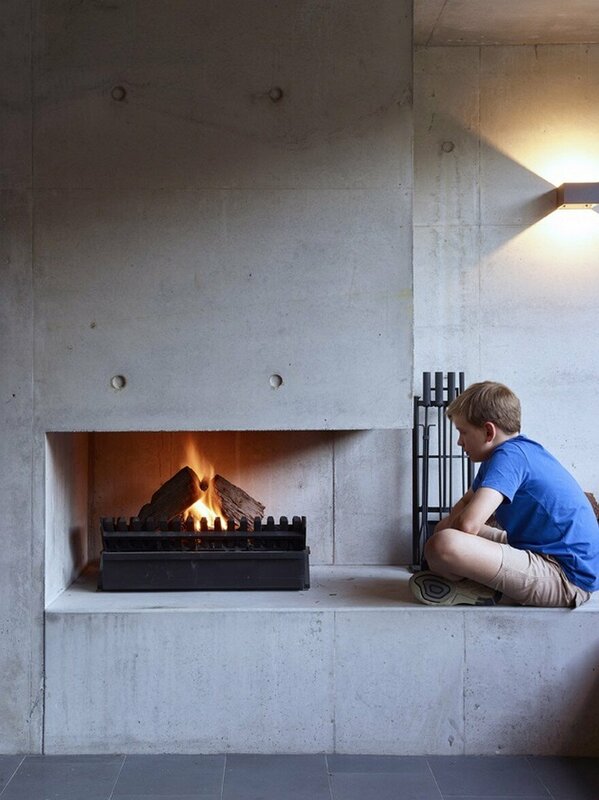 An outdoor fireplace creates sense of occasion whilst simultaneously punctuating the connection of house and garden.